There is a famous quote by author Janice Trachtman: “Everything is within your power, and your power is within you.” It’s a short quote, but it packs a lot of meaning. It reflects a mindset of empowerment where you can change the things around you starting with yourself, no matter how big the challenge. The struggle of inclusive education in Uganda might seem like one of these insurmountable challenges. Approximately 2.5 million children here live with disabilities, and 91% of them are not enrolled in school. Even those who do enroll tend to have their attendance wane when confronted with the stigma surrounding their disabilities and staff who are largely untrained in supporting them. It might be easy to give up. It might be easy to wait for someone else to solve the problem. But that’s not what happens in this story. This is the story of a Building Tomorrow Fellow who said yes when everyone else said no, who could have turned his back but instead chose to plunge head and heart first for the future of a child. This is the story about the power of one person, empowered, to change a life, to make the impossible possible. It begins in a dusty village in Uganda’s cattle corridor at the beginning of Melvin Nasasira’s Fellowship, and it starts with the rumor of a 12-year old boy who had dropped out of school. In a country where more than 10 million people live below the poverty line and an estimated 70% of children drop out before finishing primary school, it is not unusual to hear such a thing. But for a Building Tomorrow Fellow who knows the power of education and is trained in catalyzing child-centered inclusive practices at their schools, it is an unacceptable and avoidable situation. They know this because they’ve brought more than 27,000 out-of-school children back to class. They believe this because a Building Tomorrow Fellow is someone who sees the world as it should be and won’t stop until it measures up. 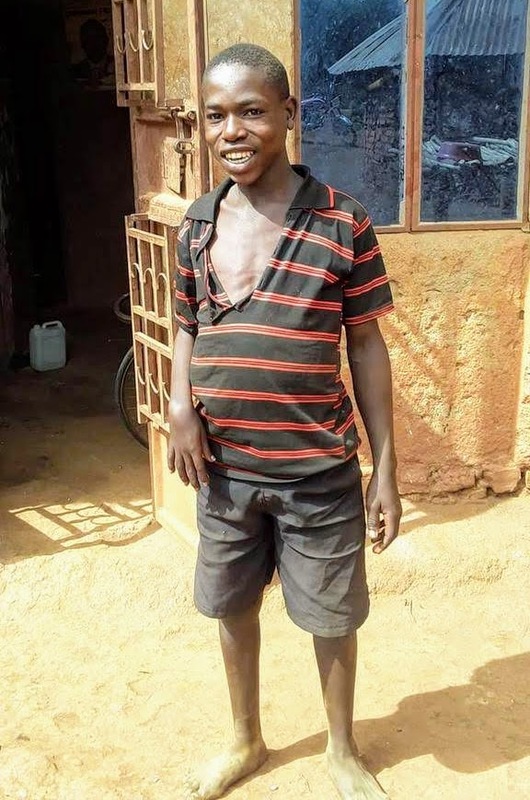 Armed with relentless determination and walking in step with his community education volunteer, Estus Sajja, Melvin therefore found the home of the 12-year-old boy and set to work. The boy’s name was Godfrey, and he was born with a physical disability in one of his legs and one of his arms, which made it difficult to walk at times and also to manipulate objects, though he had learned to compensate with his other limbs. Both of his sisters attended school, and it was only Godfrey who stayed home, instead helping his parents in their garden each day. When confronted about Godfrey’s absence at school, the father matter-of-factly explained that he was not taken to school because of his disability. “That’s how he was born. Clearly, he cannot do anything,” he said with an air of resignation. But this was not something to be lamented. This was something to be changed. Reluctantly, and to the relief of both Melvin and his community education volunteer, the father allowed Godfrey to enroll in school. Godfrey stands outside of his home. But this is not one of those stories with a quick and easy happy ending. Transformation rarely happens all at once, and is hardly automatic. Godfrey struggled in school. He was bullied. The kids called him “Obote,” after one of Uganda’s lesser-liked presidents in the area. Far from uplifted, he was crushed. But he was also loved. Watching all of this unfold was a person who would not give up, who saw problems as opportunities and not regrets. And that person set to work again. It was obvious to Melvin that Godfrey was not doing well in school because he did not have proper clothes to wear to class, books, or even a pen with which to write. He implored the parents to provide Godfrey with the scholastic materials to no avail; their minds were as fixed as the ground beneath their feet. This is the point in our story where Melvin decided to do something big for the child. It wasn’t just providing him with the scholastic materials that he needed to succeed at school. That would only change Godfrey’s circumstance, not his life. And to truly change a life, you must change people. So Melvin set up a fundraiser on social media to get scholastic materials for the boy, but the aim wasn’t just to provide Godfrey with materials. It was very specifically to change two people’s minds—Godfrey’s parents. 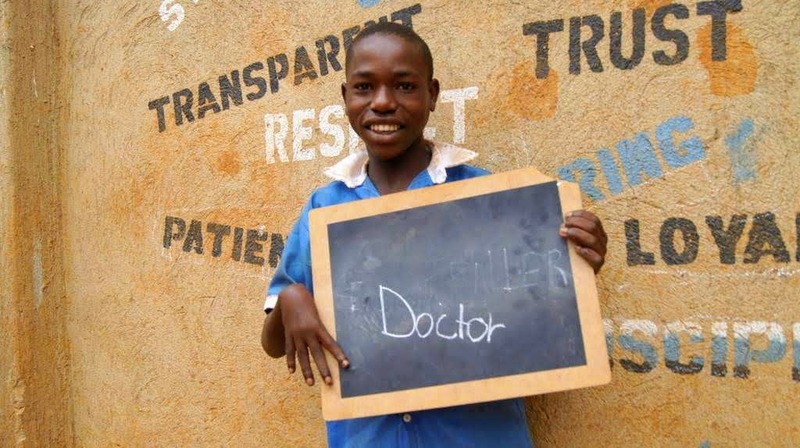 Within no time, Melvin had secured 150,000 Ugandan shillings and with it, a backpack, two school uniforms, shoes, and all the scholastic materials a child could need to succeed. “When he entered class for the first time,” Melvin recalls fondly, “the head teacher told me that everyone wanted to sit with him—for the first time!” Previously, Melvin explained that because Godfrey was always in dirty clothes and unkempt, nobody wanted to associate with him. Revisiting the parents’ home after making this change, Melvin impressed upon them the importance of supporting their child and the impact it could make in his life. Even helping him to have a clean uniform and making sure he showers could make all the difference. The message resonated. The parents started paying Godfrey’s school fees on their own. One of the best parts of this transformation is that Godfrey’s inclusion in school life did not just stay there. It also translated into his home life. The family now includes Godfrey in activities at home that are not just related to working. Instead of sitting at a distance, he’s part of conversations. Instead of wandering aloof, he sits with the family. He even comes home on time; in the past, he would be so frustrated with home that he would not come back home until very late. “He is receiving love from every other child in the classroom, which has spread to home,” Melvin observes. And that, is the power within. « O Come All Ye Literate, Joyful and Triumphant!